You’ll look like a professional chef when you present this attractive dish at the table. This dish can also be roasted in the oven when the weather gets colder. Serve with brown and wild rice, barley, or quinoa. 1. Lightly oil barbecue grill to prevent sticking. Preheat to medium high. 2. 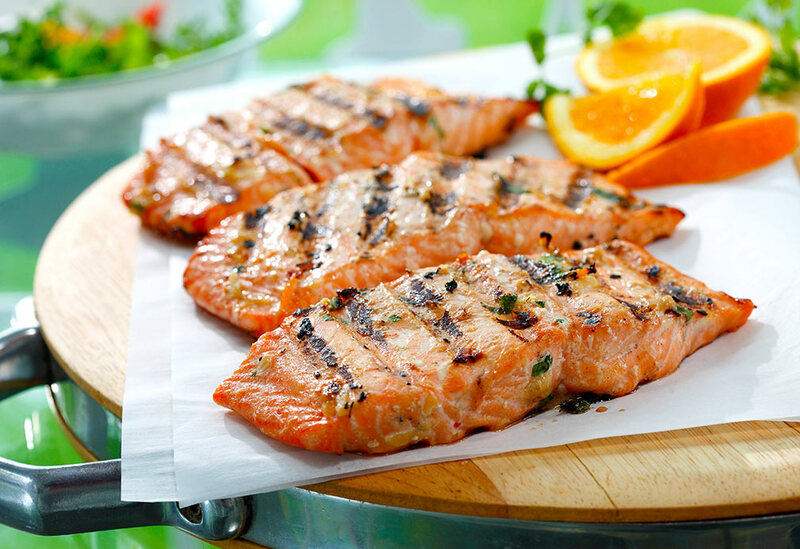 Peel sweet potato and slice into 4 half inch thick (1.25 cm) slices roughly the same size of the salmon fillets. Place the sweet potato on a plate and microwave to pre-cook them, about 3 minutes. 3. Cut red pepper into 4 slices and press down to flatten. Slice zucchini lengthwise to make 4 half inch (1.25 cm) thick pieces. 4. In large bowl, combine the sweet potatoes, peppers and zucchini slices. Toss with canola oil and season to taste with freshly ground pepper. 5. 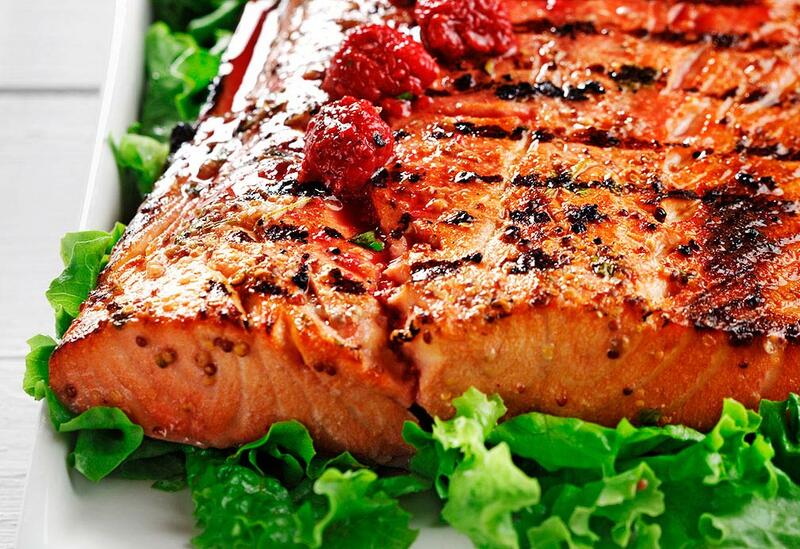 Grill the vegetables and salmon until done, about 8 minutes per side. 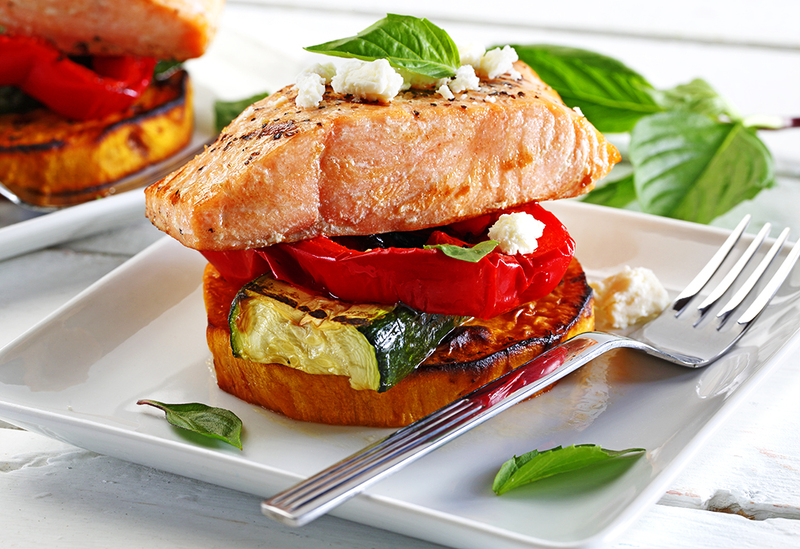 To serve, arrange stacks by placing sweet potato on the bottom, top with salmon, zucchini and red pepper slices. Garnish with a little crumbled feta cheese and a fresh basil leaf. 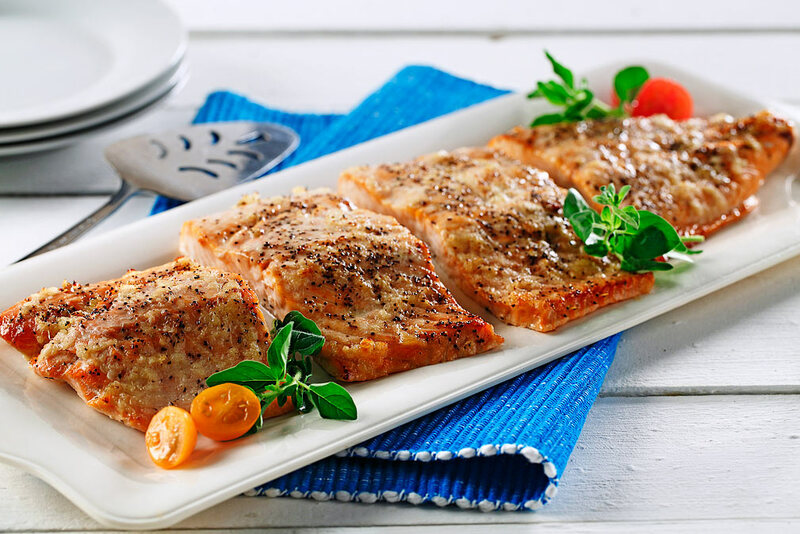 Serve accompanied with brown and wild rice, barley or quinoa.